Recently Agrolabs, a leader in liquid nutrition, sent me two of their products to try out. The first one that I tried was the Wheatgrass Boost, which is preservative-free, all natural 100% wheatgrass and contains vitamins B3, B6, and B12. Usually only available in health food stores and juice bars, Wheatgrass Boost brings you all the goodness without the expense and hassle. 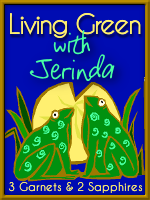 Wheatgrass juice is so popular because it contains over 46 nutrients and trace minerals. It's real, it's natural, and it's certified organic — a whole food that's been harvested at the absolute peak of its nutritional value. Think of it as concentrated "solar energy," or simply as an off-the-shelf source of the very best that greens have to offer. Either way, it's good nutrition made simple: the vitamins and minerals your body needs, in the form your body was designed to use — without all of the additives and artificial ingredients you've been hoping to avoid! It gives you a boost of energy and helps your immune system as well. I’ll admit, I was a skeptic when the bottle said it “tastes great”. I’ve tried wheatgrass drinks before and they were disgusting. I can honestly say that this one was not bad. Of course, it’s no sweet tea, but it also doesn’t make you gag to drink it. I also truly noticed that it gave me a boost of energy that lasted several hours. I was on the verge of a cold as well, which never developed into anything more. I was very pleased with this and would recommend it to anyone. 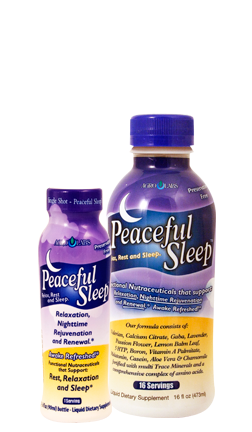 The second product we tried was Peaceful Sleep, a nighttime sleep supplement. Sleep is important for concentration, memory formation and repairing damage to your body’s cells during the day. Chronic lack of sleep can adversely affect your health and well being, motor function, memory, job performance and relationships. This formula is designed to help you relax so that you can get a healthier night’s sleep! After trying this, I was very pleased with the results. I noticed its relaxing qualities and slept really well every time I used it. If you have trouble sleeping, this might be for you. I take a sleeping pill because of insomnia and the nights I drank this, I had no trouble sleeping. This is another product I believe in and would recommend to anyone. Both of these products can be bought online at Agrolabs.com . The Wheatgrass Boost comes in 3 oz. shots as a two pack and costs $5.99. The 16-serving bottle of Peaceful Sleep costs $13.99. Thank you to Agrolabs for providing complimentary product samples for us to base this review upon.